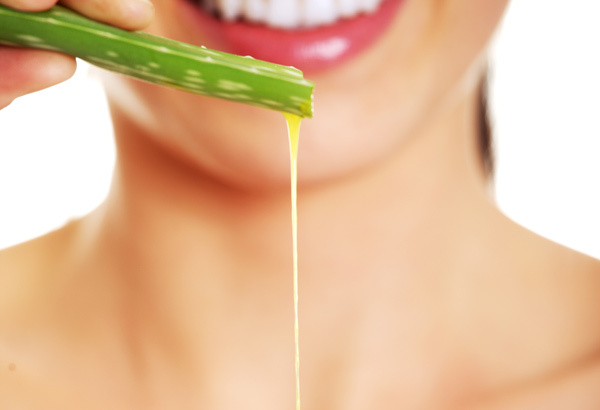 A healthy glowing skin is what speaks volumes about an individual’s personality, upkeep and hygiene. If you have been using too many commercial products and have not found the desired results so far, maybe the products being used don’t suit your skin. Stop right there and do no more harm to the skin you are blessed with. Commercial products have chemicals in them as active ingredients, which can burn the layer of the skin and cause issues such as acne and eruptions over time. This is what should be avoided at all costs. So what does one do? 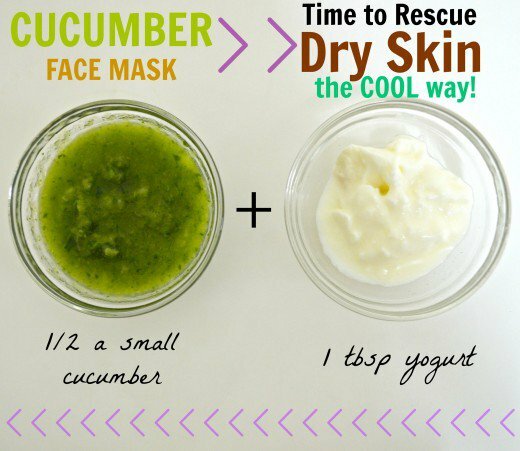 Use DIY Face masks that really work; the answer to your needs. Check out these nine masks that really work! For oily skin, the first thing you need to bear in mind is the open pores and the pH levels of the skin; both of which need to be brought under control. To do this, we would use a tablespoon of oatmeal, to which we shall add a tablespoon of yogurt to form a paste. The two should be mixed and applied on the face. Keep it till it hardens, and while that is happening, one should cover the eyelids with cold cucumber slices – one on each lid. Wash your face with cold water in gentle round motions and then dab dry. This should be done twice a week to hydrate, maintain oil control and to soak up excess oil from the face. Just because you have oily skin, don’t be under the misguidance that your skin doesn’t need hydration. Oily skin happens due to the excess sebum produced by the oil glands, and once the sebum is washed away, the skin turns dry for a couple of minutes. 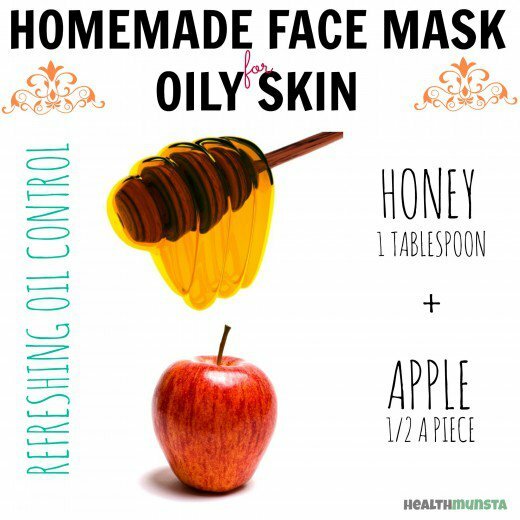 Your skin needs more protection now, which is why we would use the paste of one whole apple and a tablespoon of honey. The vitamins and minerals from the apple would nourish the skin cells, while honey would hydrate the skin. Apply the mixture on your face as a pack for half an hour, and then wash off under cold water. Twice a week would be more than enough. Dry flaky skin can be a pain, especially during the summer months. To protect your skin, you would need a hydrating and a deep conditioning face mask that works. Do the same by making a paste of one large cucumber, to which half a tablespoon of yogurt is added. 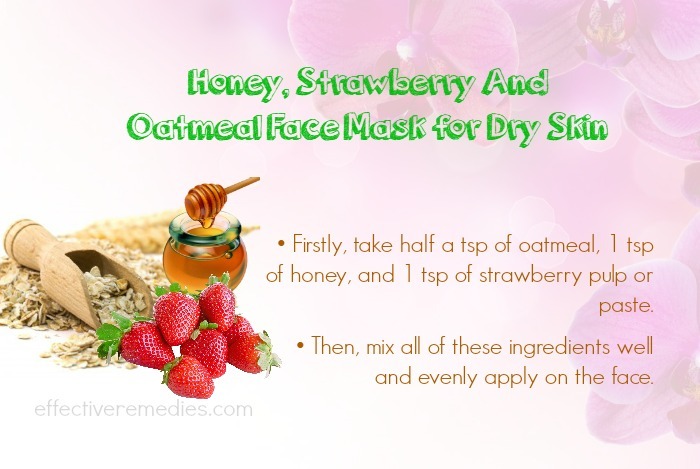 Mix the two well and apply the face mask evenly all over the neck, the face and the forehead. Wait for half an hour and then gently wash off with cold water. Do this twice a week and watch how the skin turns soft and supple, without the redness and flakiness to deal with. Cucumber is an astringent and a hydrating agent, while yogurt is known for its deep conditioning properties. To ensure that your skin stays protected with plenty of antioxidants and minerals, we would want you to use a tablespoon of honey mixed with an equal amount of oatmeal. Blend the two in a mixer and form a very gooey paste. Apply this paste over your face and the neck, and wait for half an hour. Honey would enter deep into the dermal layer to condition and hydrate the skin, and oatmeal would be the exfoliating agent to deep cleanse and rid the skin of the dead skin cells. Wash off with cold water and pat dry. This should be done twice a week. Combination skin is a mix of oiliness and dryness in various parts of the face, which can be harrowing, what you need is a mask that can balance the oiliness and also the pH levels of the skin, without further drying the areas that are already dry. 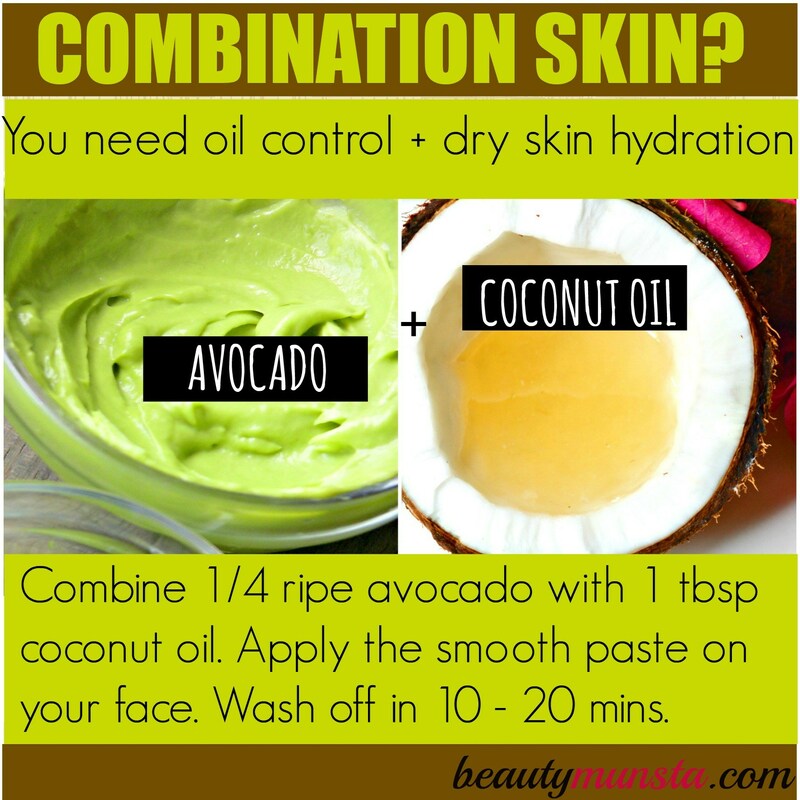 For the same, one would need to use half a tablespoon each of coconut oil for hydrating effects, and half a tablespoon of avocado for nourishment of the skin. Mix the two well and apply the mask, and wait for half an hour. Wash under warm water and pat dry. This should be done once a week. 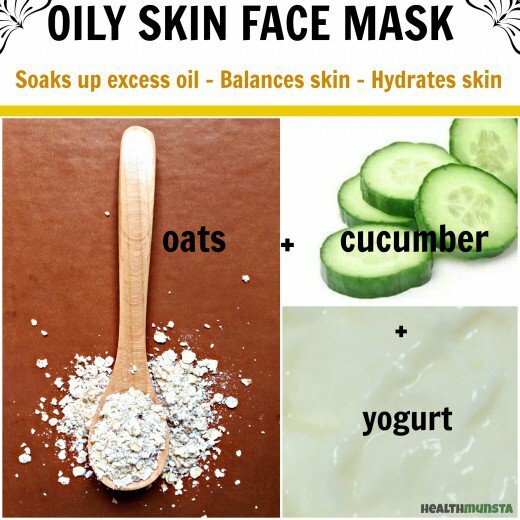 We have given you five homemade face masks that really work for oily, dry and combination skin. 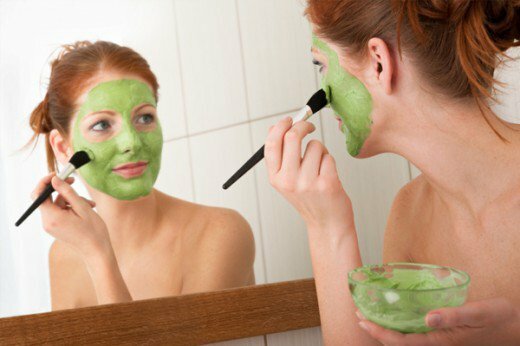 However, we shall not want to ignore those that have sensitive, normal to dry, acne and blackhead prone skin, so here are three face masks that work best to help bring a glow and good health to such skin types. Take a look! Try these nine face masks as per your skin type and let us know the results!